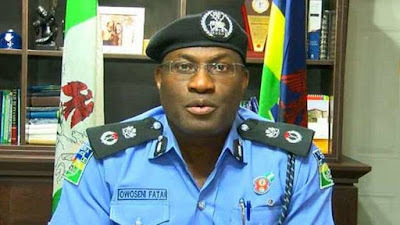 Former Commissioner of Police in Lagos State, Fatai Owoseni, and nine other senior police officers, were pulled out from the Force on Saturday after 35 years in service. The News Agency of Nigeria reports that Owoseni was police commissioner in Lagos from July 1, 2015, to September 1, 2017. NAN reports that the retiring officers were pulled out at a colourful ceremony in Lagos amidst cheers by family members, colleagues, and other dignitaries. Deputy Inspector General of Police, Force Criminal Intelligence Investigation Department (FCIID), Peace Ibekwe Abdallah, who represented the Inspector General of Police, Ibrahim Idris, commended the retiring officers for their service to the nation.